It opened during the era of 'silent' films in 1921 and was still doing good business during the 1970s and 1980s. This was due to the large student population in the area and the West Jesmond Metro station being right on the cinema's doorstep. 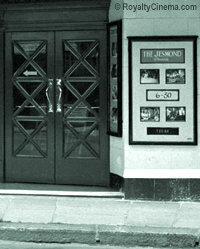 In later years it was known simply as the Jesmond Cinema. But a new multiplex sealed its fate. It closed in 1993 and was left to deteriorate until part of the roof fell in and it became home to pigeons rather than pictures. Another victim of our failure to value and protect these wonderful buildings (there is only one grade 1 listed cinema in the whole of England). With the destruction of the Picture House, Jesmond has lost a little bit of its history and character. The photos above show the cinema in happier days, back in spring 1981,when it was screening Airplane and Foul Play, with Stir Crazy advertised for the following week. 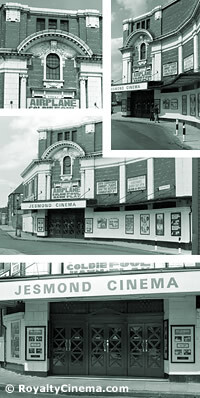 Few alterations were made to the Jesmond Picture House over the years, other than the conversion to sound and then later Cinemascope. In 1981 the entrance still had a 1920s feel to it. I used to live in South Gosforth in Windsor Terrace, and often went to the Jesmond, in the 40's and early 50's, it was so easy, with the train so close to home and the picture house, fond memories. All comments are moderated so there will be a delay before your contribution appears on the page.